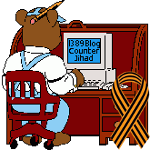 sdamatt2 YouTube Channel Hacked — 1389 Blog - Counterjihad! Matt’s videos on YouTube focus primarily on the Canadian counterjihad and the Canadian political scene. His original YouTube channel, sdamatt2, was invaded by hackers. All of the posts were deleted and Matt found it necessary to shut down that account. Matt also uploaded some videos to the SDAMatt0 channel, but this was temporary. Several posts on 1389 Blog, as well as on Blazing Cat Fur, contain video embeds that link to the old sdamatt2 channel that no longer exists; thus, those embeds no longer work. It would be an arduous and expensive task for Matt to re-upload his entire video library to the new account. Until and unless he or someone else uploads the videos again, they will not be available online. We regret the inconvenience. Matt is now at SDAMatt2a on YouTube. He requests that everyone wishing to follow his videos please go there. 🙁 How does a youtube channel get hacked? YouTube is owned by Google, and YouTube is infamous for its willingness to host pro-jihadi videos. That’s why we support YouTube Smackdown, which is in the list on our blogroll page (see our navigation menu). Obviously, security is lacking on their end. For one thing, YouTube should be backing up their accounts so that they can be restored if something goes wrong. They also should be watching for things like dictionary attacks on passwords. There’s always the possibility that it’s an inside job. On our end, the only thing we can do is to be very careful about our passwords. We need to use strong passwords (long character strings using capitals, lower case, and numerals, and not using any single word that would appear in a dictionary). We need to change passwords from time to time, and not let anybody else get our passwords. This can happen via spyware, unsecured WiFi networks, or “shoulder surfing” (which is just what it sounds like – somebody uses a camera, or their eyes, to see what you are typing). And don’t save your password on your own machine – if somebody steals your computer, they can get your passwords. Hacking and vandalism of data is a crime. I’d like to see at least a few of these hackers caught and put away, but obviously, that isn’t a big priority with anyone but ourselves. Thank you so much for letting us know! Delighted to find his new channel! Especially I would like to see the “Charles Adler on Anders Behring Breivik” video which I cannot find on your new youtube channel. And if you dont want to reupload them to youtube,please reupload the to some free hostings and send me a link or two by email. Thanks in advance for nice work. I appreciate all your work very much. sdamatt2 does not post directly on this blog. I have forwarded this comment to Blazing Cat Fur. Maybe he has contact information for sdamatt2. youtube pulled SDAMatt2a – does he have a replacement?